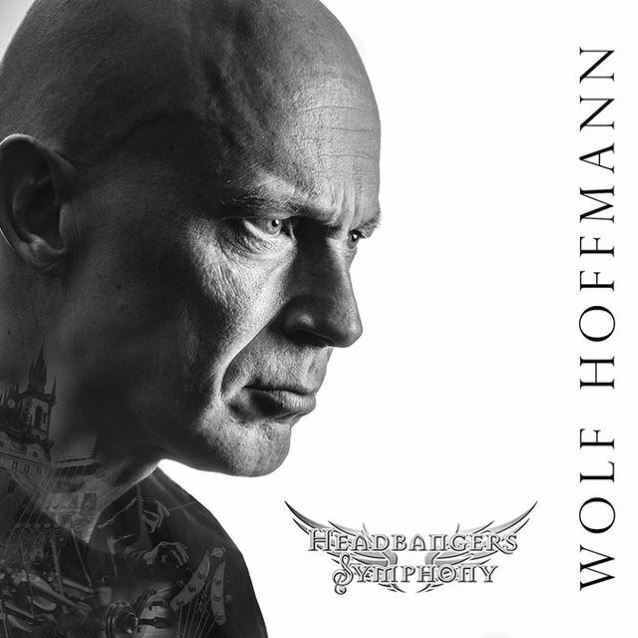 ACCEPT guitarist Wolf Hoffmann will release his second solo album, titled "Headbangers Symphony", on July 1 via Nuclear Blast. The first trailer for the CD is available below. Classical music has always been an influence — albeit limited — on ACCEPT's Teutonic approach to rock and heavy metal. However, it wasn't until 1997 during a extended hiatus from ACCEPT, that Wolf Hoffmann finally had the chance to fully explore and fulfill this interest by recording his first astounding solo album "Classical", a record filled with his rock-guitar-driven interpretations of some of classical music's most loved compositions. 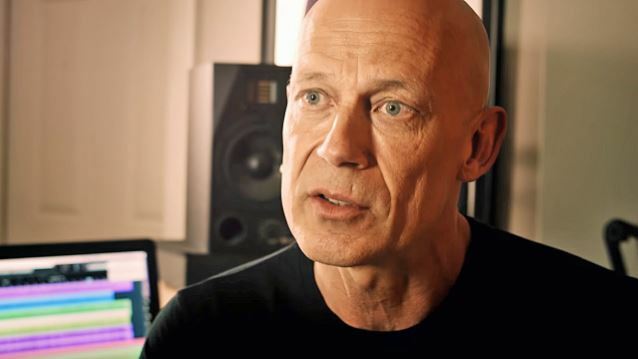 "I have always incorporated classical music in my songwriting with ACCEPT, especially with 'Metal Heart', but I constantly felt there was so much more that I could do and I did not want to overload ACCEPT or force it in any way," he said. "I always knew I could make a whole record of it and that's how the first record 'Classical' was born. Even today, fans tell me that they are still listening to it, that's why it is so fantastic now to do another one." You can now listen to Wolf's interpretation of Ludwig van Beethoven's "Scherzo" in the YouTube clip below. Continued Hoffmann: "I am just so excited about 'Headbangers Symphony'. It has taken a long, long time but here we are, it's done, finally!" Wolf is just bursting with vigor as he talks about his latest labor of love. But why now? "It's truly coincidental," he said. "After we completed the last ACCEPT tour, I finally had the time to finish it. I started this a few years ago. The early recordings have been sitting in my archives in my home studio for years, almost completed. The reality was that with the continued success of ACCEPT, I was only able to work on it when ACCEPT was not recording or touring." The prevalent early challenge was to pick the most suitable compositions. This was an exploratory process that only increased Wolf's adoration for the classics. "I always listen to classical music; it's always playing throughout my house," he said. "I have a huge collection of classics and as I listen — often at random, I take notes if something truly strikes me. When I notice that this or that could work in a translation to rock or heavy metal, I remember it and I pursue it! This has been going on for a long time!" There are several reasons for the necessary experimentations that faced Wolf. Most classical compositions were written to be performed by a full orchestra. The fluid timing, those multiple, complex layers and sections that stretched out for lengthy periods, classical music was simply never designed to be played to the rigid beat so prevalent in rock 'n' roll. "Headbangers Symphony" showcases an overabundance of highly skilled improvisations. Wolf took the main pieces, and then wrote riffs that fit them. Lastly, in the grand hard rock tradition, he layered a guitar solo over it. He shaped the sound into a quite adventurous elegance, but the key themes of the originals remained. The first volume had a focus on the better known pieces; the second, "Headbangers Symphony", takes a similar approach. "In general, it does follow the same path," admitted Wolf, "but this time I did try to add a couple lesser known compositions. Mostly though, listeners will say, hey, I know that melody… so it's pretty much the same path as the 'Classical' record. It was my desire to record melodies I like and melodies people recognize." Now that the album is done, Wolf is proud looking back and is pleased with this true labour of love; something he has wanted to do since the first record, "Classical", came out almost twenty years ago. While ACCEPT's Peter Baltes added several impressive bass lines, and other notable guest musicians made an appearance as well, the bulk of the work was completed by himself and Italian musician and arranger Melo Mafali. "There are two major categories," Wolf elaborated. "First, the heavier stuff like Beethoven, the bombastic, full force epics on which you can simply shred along. Of course then there are the ballads, slower compositions that bring out the deeper feelings in each listener." The highlights on "Headbangers Symphony" are plentiful and easy to pinpoint. The album kicks off with "Scherzo" from the well-known "9th Symphony" by Ludwig v. Beethoven. Many listeners might recognize the opening riff from the ACCEPT song "Teutonic Terror". "Back in 2009," Wolf explained, "when we started working on the songs for the 'Blood Of The Nations' album, I played the classical demos to our producer Andy Sneap. He liked that riff a lot and insisted on using it for the album. So we wrote 'Teutonic Terror' using this 'borrowed' riff." Other highlights follow in rapid succession: "Night On Bald Mountain" by Russian composer Modest Petrovich Mussorgsky is a very dramatic dark song on the theme of a witches' Sabbath, a perfect fit for Wolf's "metal treatment." "Symphony No. 40" by Wolfgang Amadeus Mozart will be immediately recognizable. "It's a little more uptempo, pretty happy, typical for Mozart. Not mean and heavy as most of the other stuff," Wolf pointed out. Additional highpoints include Wolf's interpretations of such masterworks as Tchaikovsky's "Swan Lake", "Pathétique" also from Ludwig v. Beethoven, "Méditation" from the opera "Thais" by French composer Jules Massenet, and, of course, the aforementioned "Madame Butterfly". All in all, the eleven compositions on "Headbangers Symphony" paint the perfect portrait of Wolf's lifelong passion for the classics and his adoration for heavy metal. "I worked so much and so long on this until I felt it was ready," he said. "Now it is and I am thrilled and proud. This is my baby, my labor of love, ready for me to set it free."